The Secret Language of Leadership: How Leaders Inspire Action through Narrative by Stephen Denning (Jossey Bass). Given our role in the Career Management Center to deliver presentations on a regular basis, I am always looking for resources to improve the narrative process, and this looks to offer some great lessons and perspective. Three Cups of Tea: One Man’s Mission to Promote Peace… One School at a Time by Greg Mortenson and David Oliver Relin (Penguin). Mountain climbing “bum” Mortenson is saved by poor Pakistani villagers and promises to return to build a school for girls. He succeeds and eventually builds more than fifty throughout Pakistan’s and Afghanistan’s poorest regions. Steves, Rick. Travel as a political act. Nation Books, 2009. Steves says that the best vacations are both fun and intensely educational. The goal is to relax and have fun, while learning and broadening one’s perspectives. Thoughtful travel comes with powerful lessons and an American traveler can learn about US society by observing with an open mind and by connecting with people that one would never meet at home. This book is an easy read with only 200 heavily illustrated pages. Steves lays out his framework for travel and then takes the reader to seven different locations inclusing Iran, El Salvador and Denmark. 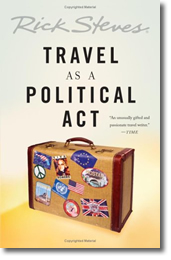 The last chapter describes how travel has changed his political views and encourages the reader to put a global perspective into action at home. Ford Library’s calendar of hours for November – December 2009 is now available. 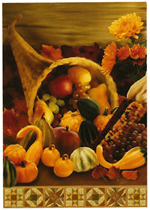 The Library will be open for abbreviated hours during the Thanksgiving and Winter Holiday Breaks. Note especially that the Library will be closed from December 24, 2009 through January 3, 2010 — reopening on January 4, 2010. View the Calendars and Library Hours. The lecture, “Building a Sustainable Energy Future: Market Approaches to Choices and Trade-offs” will be held today; Thursday, November 5th from 4–6 p.m. in Geneen Auditorium. This is the first of a four-part series and represents a joint collaboration between the Fuqua School of Business and McKinsey Quarterly. The series will consist of forums on the following areas: energy, the financial system, globalization and business education. The library’s database room will be closed Wednesday morning, November 4, from 8 am to 9 am and from 10 am to 11 am for training classes. Please use the main computer lab to print your documents during these times.